Photos by Carol Canter and Jack Heyman. An on-board bicycle for every guest is an invitation to pedal the towpath that edges the canal, or veer off into tranquil hamlets, bustling villages and alongside family farms and gardens. Some guests walk for miles along serene wooded pathways, which open to dreamy vistas of flower-strewn hillsides grazed by snowy white Charolais cattle. Even on foot, they can easily keep ahead of the barge, whose speed never tops 4 mph. 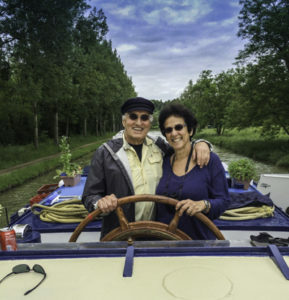 Captain Jolanda leads guests on daily excursions to places of no small magnificence: Ancy-le-Franc, a 16th century chateau with Renaissance murals; Abbaye de Fontenay, a peaceful Cistercian abbey with cloisters, ponds and gardens; medieval villages whose flower-draped half-timbered houses ooze charm and photo ops. At the hilltop village of Flavigny-sur-Ozerain where Chocolat was filmed, one might easily conjure the lovely Juliette Binoche wandering the winding lanes. History-rich Alesia, from its strategic perch at the summit of Mount Auxois, overlooks countryside now bucolic, if a bit ghostly, in a late afternoon mist. Perhaps that’s because in 52 BC, the last bloody battle between the Romans and Gauls was fought here. 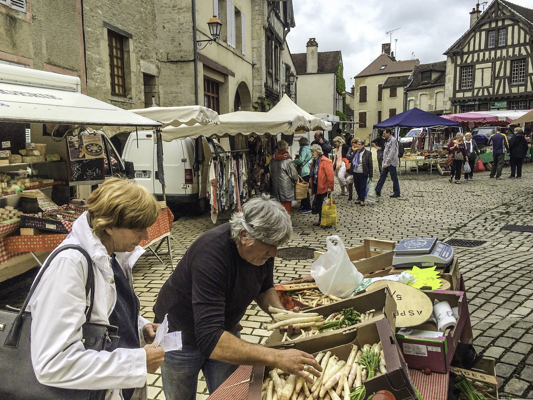 At the Wednesday food market in the achingly picturesque hamlet of Noyers-sur-Serein, passengers indulge their fabulous French food fantasies. 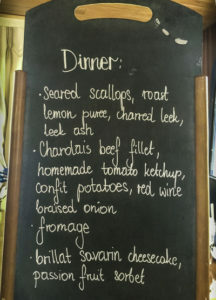 With the guidance – and wallet of Captain Jolanda– one points to the freshest or most unusual or most mysterious or most mouth-watering foods to bring back to the barge kitchen of La Belle Epoque’s exceptional young Chef Wojtek. 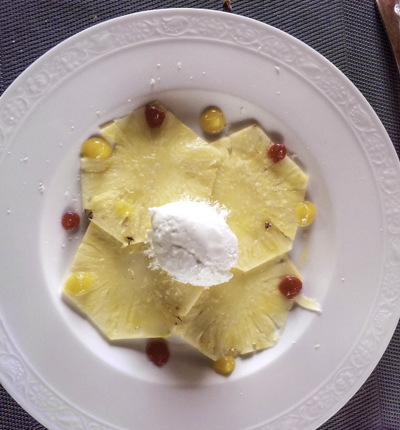 There he prepares the large but tender stalks of white asparagus that called to one group of passengers on a late May cruise, the wispy wild green asparagus, the celeri remoulade and the cornus, or “horned” green and red tomatoes bursting with flavor. The group feasts on these, along with escargots, pâtés and rillettes, cured hams and sausages, salads and rhubarbs and berries. This is a lunch to relish and recall, as everyone “à table” has a stake in its outcome. 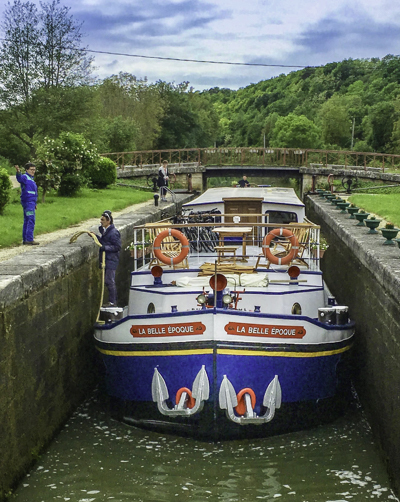 And this is why a barge cruise with European Waterways satisfies both the savvy traveler who can navigate France independently and with panache, and the first-timer who will get an insider’s look usually reserved for the serious Francophile. The experience is interactive, personalized, and expertly curated; the countryside is – well –magnifique, and the collection of daily experiences varied and full of surprises. 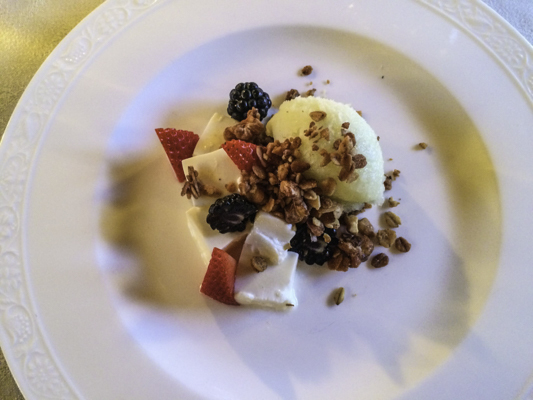 At every fresh, healthful lunch and exquisitely prepared multi-course candlelight dinner, stories are poured with the wines and served with the cheeses. 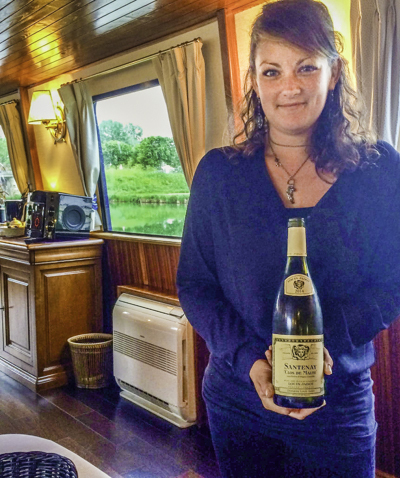 These may be historical anecdotes about Napoleon or a noted vintner sequestering his prized vintage from the Nazis, or an intimate and personal tale shared by the barge’s worldly young hostess Claire. A visit to a small family-owned winery in Chablis is an opportunity for guests to deepen their understanding of terroir, as they “taste” the minerality in the wines, then handle the subsoil from which it derives. Is there a link, perhaps, between this chunk of limestone with oyster fossils dating to the Jurassic period and the sensation on their palate? 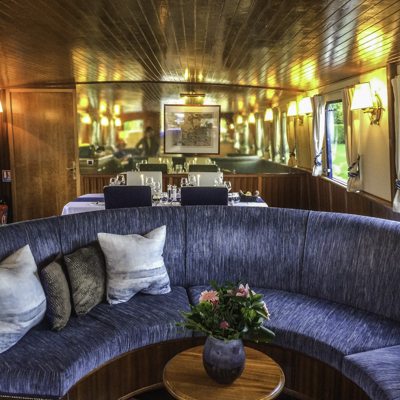 European Waterways, the only luxury hotel barge company offering vacations in nine countries, has mastered the art of the intimate cruise over nearly four decades in the business. What began with self-drive charters has evolved into a fleet of 17 boutique hotel barges. Each of these floating hotels was once a working vessel that carried grain, logs or other cargo along Europe’s interlinked network of canals. But today these former workhorse barges gleam with the finest hardwoods, solid brass fittings, carpets, cabins with ensuite bathrooms and a blend of antique and traditional décor. Most of the vessels have a spa pool on the sundeck and all have tables where passengers can enjoy an outdoor apéritif or meal as they float past a changing pastoral tableau. The Captain leads an English-speaking crew of six comprising Master Chef, Tour Guide, Deckhand and two Hostesses. With a staff of 6 catering to 12 passengers, the service is finely-tuned and personalized to a tee. 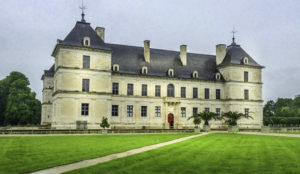 Whether it’s dining with a Countess at her Chateau or savoring a meal in a Michelin-starred restaurant, picking fresh herbs with the Chef from his onboard herb garden or steering the vessel under the guidance of the expert Pilot, the potential of exclusive experiences available to a group of 4 to 12 passengers is privileged and virtually unlimited. Indeed, size matters, and it’s one of the factors that defines and distinguishes a barge cruise from a river cruise, another popular and growing segment of the market that is perhaps better understood, yet often confused with barging. Vessels that ply the rivers of Europe carry a passenger load of approximately 130 to 200 on weeklong journeys that traverse different countries. Some itineraries on the mighty Danube sail between Germany, Austria and Hungary. Fans of river cruising cover more territory and mix and mingle – or remain anonymous – in a crowd over a hundred. Barge cruise fans opt instead to delve into the heart of a small but notable region – the Scottish Highlands, tulip fields of Holland, France’s Loire Valley – and explore it with depth. They’re ready to wine and dine with like-minded-strangers, with whom they may share a hot tub soak under the stars, a nighttime walk, or dancing on deck to the surprise appearance of a small jazz combo. Friendships are made and stories told of guests from different parts of the world meeting on a barge cruise, only to plan a future canal trip together. That said, a week on a barge is an idyllic way for a family or group of friends to organize a personalized pampered reunion. In fact, charters make up fully half of bookings for European Waterways, according to Director John Wood Dow. He says tennis groups have been returning for 15 years, tying in a barge cruise with Wimbledon or the French Open. There are golf groups, hiking groups, watercolorists, and quite a few multi-generational families – from the grandparents on down to the children – who charter a barge as an alternative to the large villas they often rent. A look at the Themed Cruises drop-down menu on the company’s website shows the full range of options, from Antiques and Art and Opera cruises to Flower Show, Whisky Trail and World War One Commemorative Cruises. Larger groups have the possibility of booking a Tandem Cruise whereby two barges travel together along a canal. 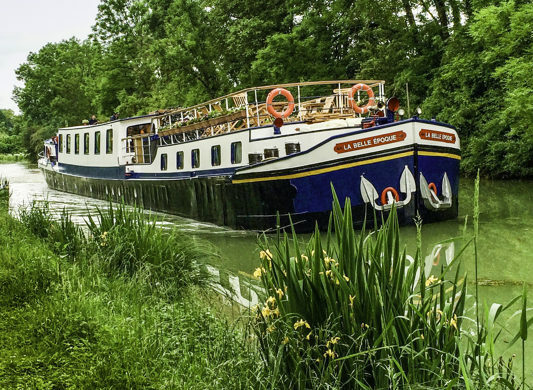 European Waterways offers barge cruises in 9 countries, including 9 regions of France. Burgundy is the most popular hotel barging area in Europe with five canals, countless historic chateaux and thousands of acres of vineyards. Other picturesque French regions include the Canal du Midi, Alsace & Lorraine, Loire Valley, Gascony, Bordeaux, Champagne, Paris and Picardy. Other countries include England, Ireland, Scotland, Holland, Belgium, Germany & Luxembourg, and Italy, where the company’s only 20-passenger barge, La Bella Vita, will offer a special Opera Cruise on August 19, 2017. IF YOU GO: For more information, call European Waterways at 1-877-879 8808 or visit gobarging.com. Prices for a six-night cruise aboard hotel barge ‘La Belle Epoque’ start at $5,150 per person in a twin/double cabin, including all meals, wines, an open bar, excursions and local transfers. Transfers between Paris and the barge are included. Full barge charters are also available for families and groups.